Turn heads with this bold, FEARLESS MAKEUP LOOK created by our very own Luis Casco with our special February promotion bundle! Go on, we dare you! 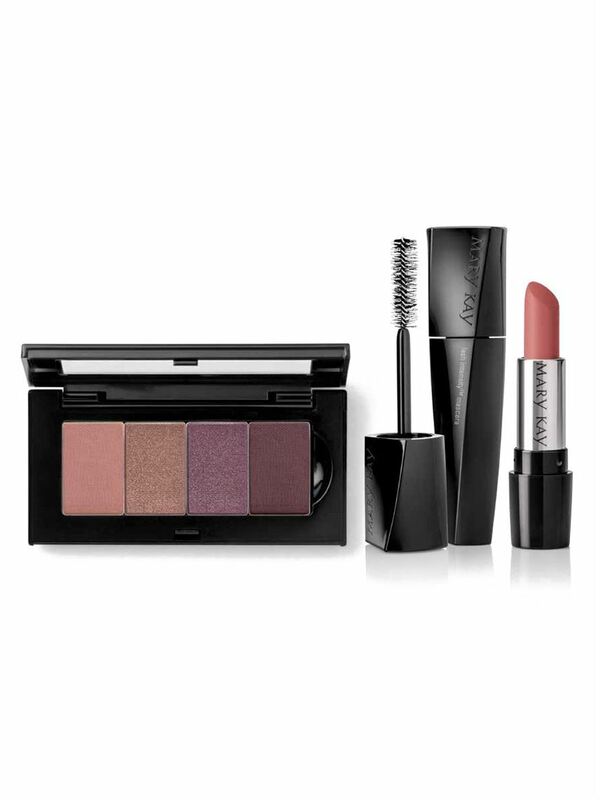 *Includes: Chromafusion™ Eye Shadows in Dusty Rose, Golden Mauve, Sweet Plum, Merlot, Mary Kay Petite Palette™, Lash Intensity™ Mascara, Mary Kay ® Gel Semi-Matte Lipstick in Mauve Moment. *Strictly available while stocks last. In the event that a product in the promotion bundle becomes unavailable, it is under the Company’s discretion to replace it with a similar product.